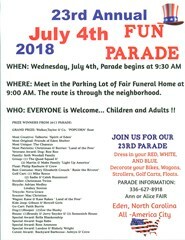 Join us to walk behind the RC Tennis banner with Coach Jackie in the Eden Fun Parade. 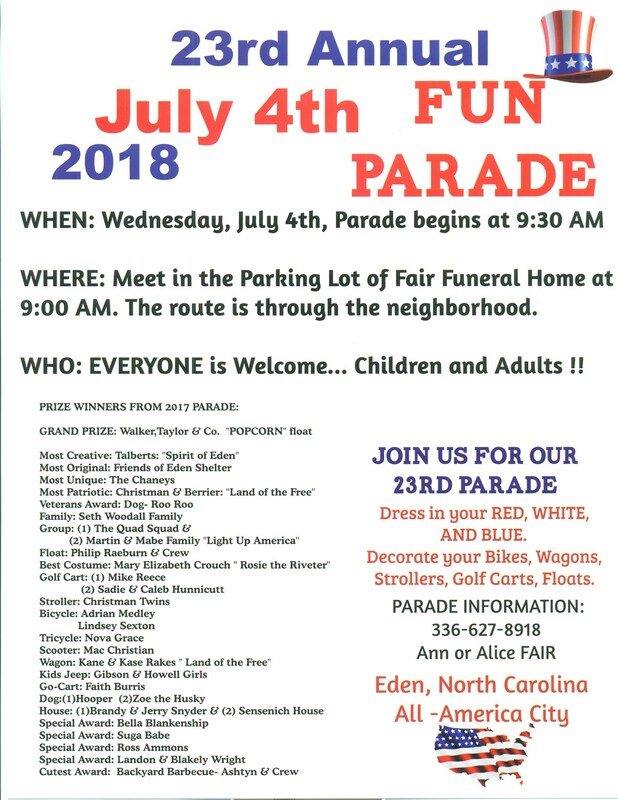 Meet at 9am at Fair Funeral Home parking lot, 432 Boone Rd, Eden, NC 27288. Wear RED, WHITE, and BLUE.